So You Wrote a Steampunk Novel? First of all, Hello. 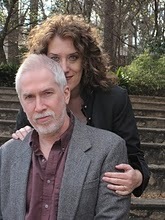 We are Clay and Susan Griffith, authors of The Greyfriar: Vampire Empire Book 1. Thanks to Suzanne for inviting us to submit a guest blog. We’re frequent visitors here, and we want to take a few minutes of your time to talk about how we came to publish a steampunk novel when we didn’t really write a steampunk novel. Since the time The Greyfriar was released in November 2010, it has been placed in a lot of categories and genres. Vampire. Fantasy. Paranormal romance. Pulp. Adventure. Alternate history. Young adult. Fortunately, the vast majority of those reviews have ended up at the same spot – with a book that surprised and pleased the reader. However, the category confusion over The Greyfriar is not surprising. The book was never intended to be just a vampire novel or a romance novel or a young adult novel, or even a steampunk novel. 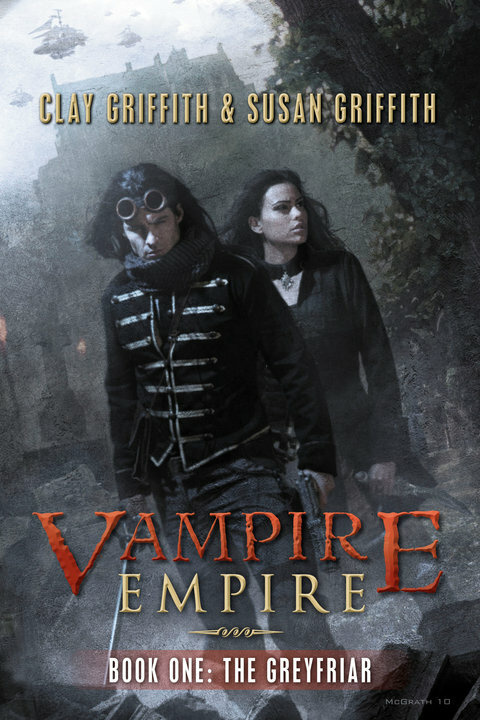 We originally conceived Vampire Empire many years ago before the term “steampunk” was quite so well known as it is now. We didn’t set out to plot a “steampunk” story back then. Our book was meant to be an alternate history rooted in the Victorian Era. We were huge Victoriana buffs, and that was the period that best served the story. While writing, we always referred to the book as “neo-Victorian.” However, over the years, steampunk reached genre consciousness and, by the time we pitched the novel to agents in 2010, steampunk was not just a subgenre buzz word, it had become a bona fide target demographic. So, just as we were finishing our neo-Victorian vampire romance pulp adventure novel, the neo-Victorian subculture became part and parcel of steampunk, and that genre achieved social critical mass. So how does The Greyfriar qualify as steampunk? The book is set in a recognizable, but altered “Victorian” world. We were careful not to just write a fantasy novel and throw goggles on characters and darken the skies with airships. Never fear, there are airships and goggles, but they serve a purpose based on function, technology, and economy. We extrapolate new global technologies and geo-politics, given the realities of our vampire-altered world. Here’s the background on the plot: In the 1870s, vampires destroy the industrial states of the northern hemisphere. Human refugees flee to the tropics (vampires abhor constant heat) and struggle to integrate with the indigenous societies they encounter there. The tropics experience more than a century of cultural tumult as cultures collide and coalesce and recreate themselves. The Greyfriar actually begins 150 years after the Great Killing, when the new human states of the equatorial regions have finally built their technology and societies to levels equivalent to the late 1800s. They are now prepared to wage war on the vampire clans of the north. Or so they think. The Greyfriar is very much a neo-Victorian fantasy. But it is also a vampire novel. And a romance. And a pulp adventure. And, apparently, young adult. We didn’t set out to write a steampunk novel. We wrote The Greyfriar, and the steampunk happened. Steampunk can give you a rich and marvelous worldview. It has a lot to offer setting, story, and characters. But let your world rise organically from the story you want to tell, and the characters you create. It may end up being as steampunkish as you’d hoped, and you’ll create some great steampunk police procedurals or steampunk horror or steampunk romance. But, who knows, it may go in directions you didn’t expect, and you’ll have to come up with a new genre label. With that in mind, what genres would you most like to get a steampunk treatment? And what are your favorite types of genre blending in general? Two lucky posters will win copies of The Greyfriar (sorry, US only please.) Contest closes Sunday, February 6th. Winners will be announced February 7th, which will also kick off Fantastic February…More about that Monday.